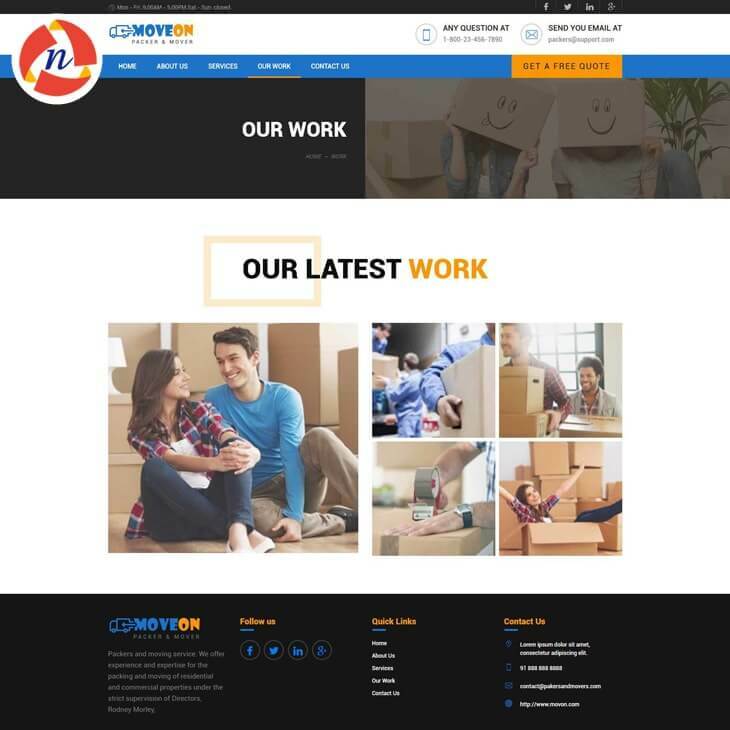 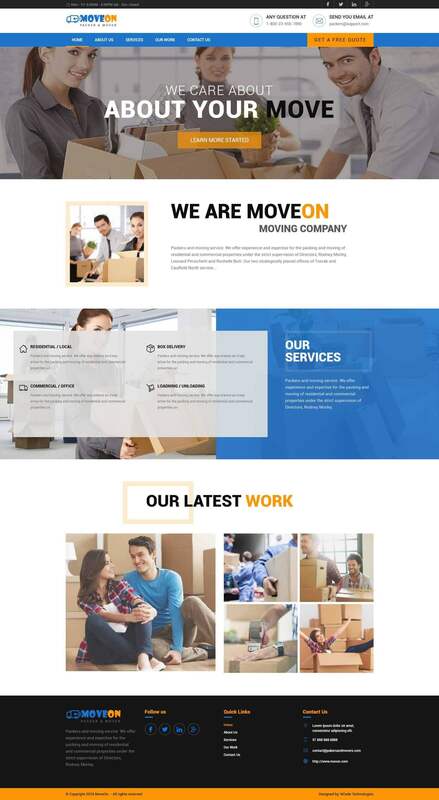 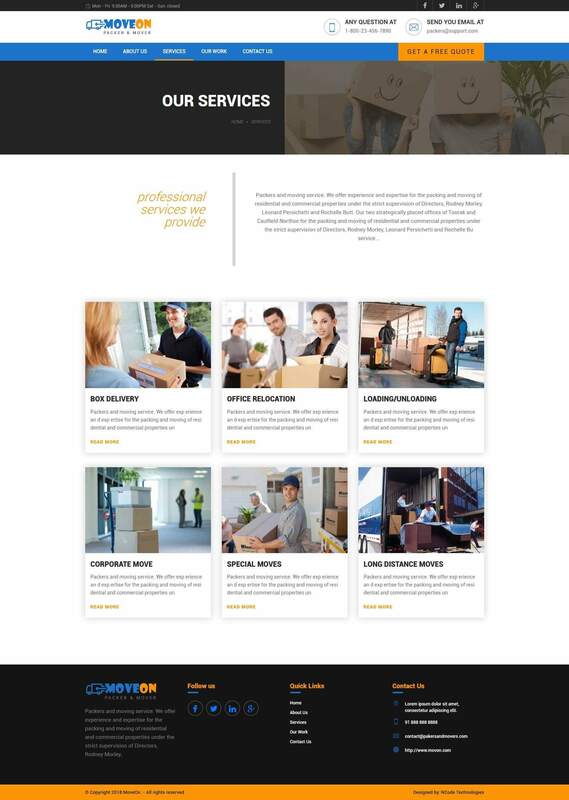 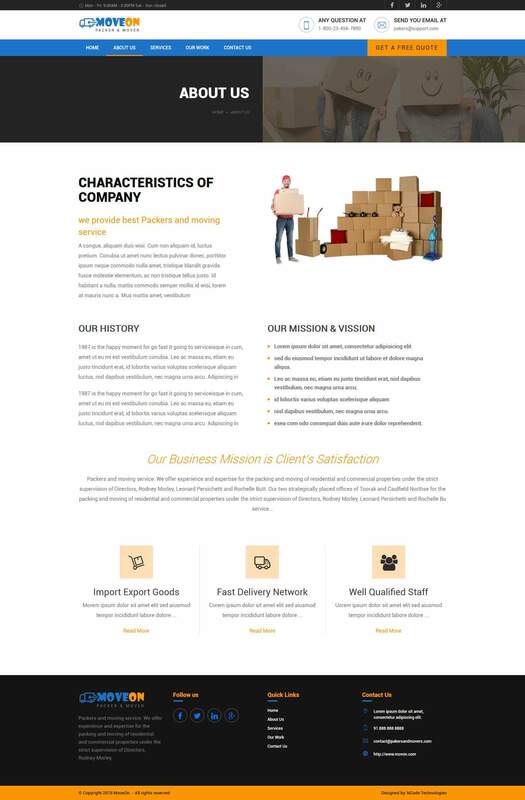 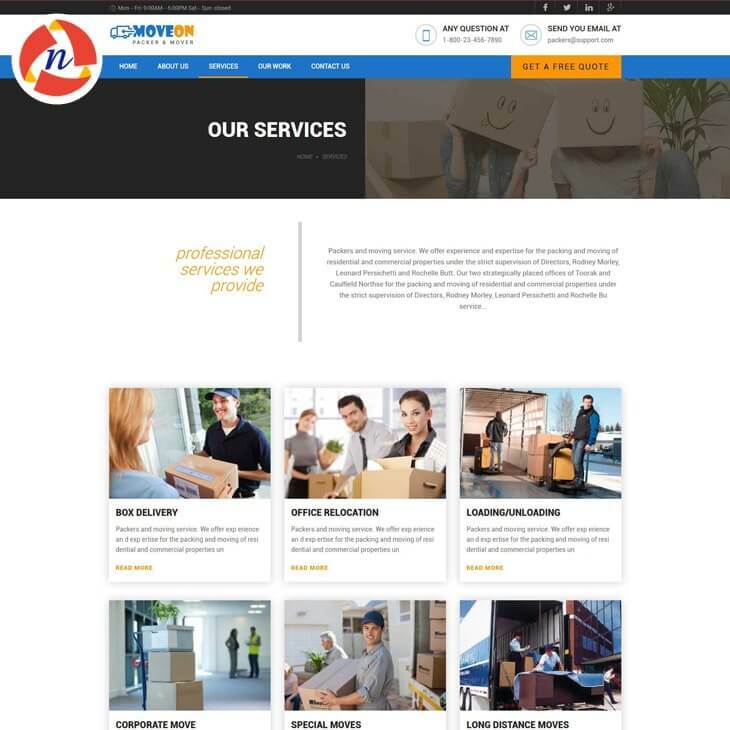 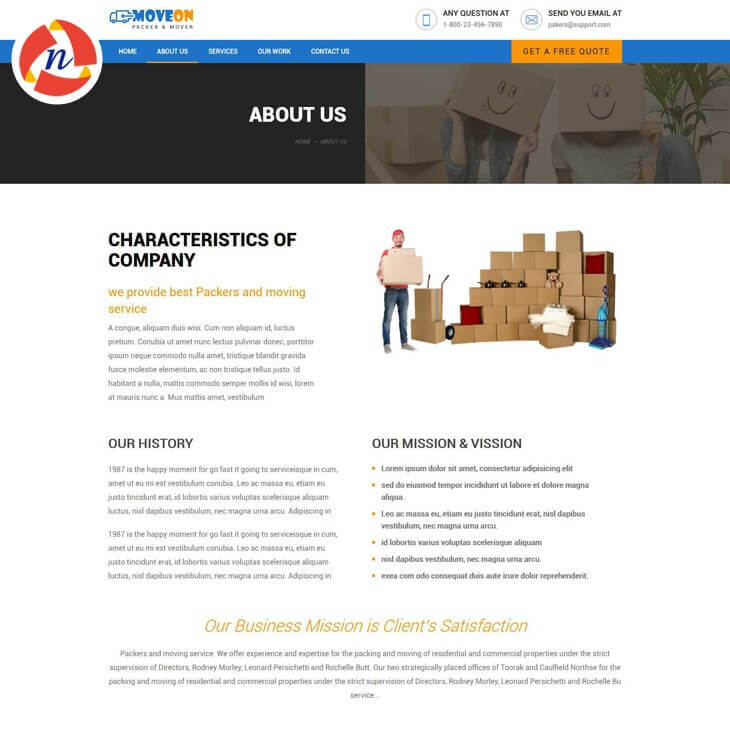 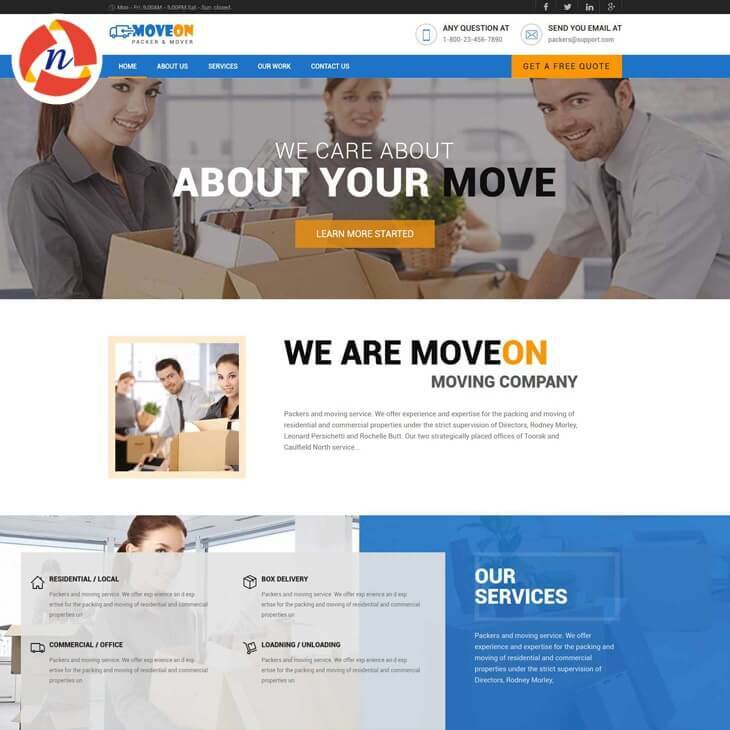 MoveON Bootstrap 4 Template for Packers & Movers Website - NCode Technologies, Inc.
Our MoveON Packers & Movers Bootstrap 4 Theme is crafted particularly for companies who provide moving and transportation / logistics services, as well as it fits perfectly for any packer movers services. 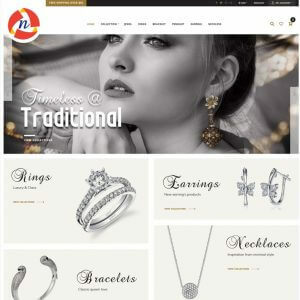 Our Bootstrap 4 theme has beautiful and unique design that will be best suited for your online web presence. 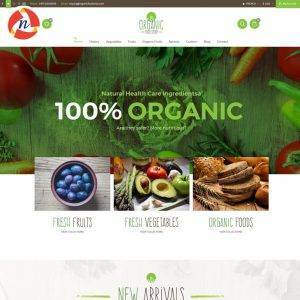 It has 100% responsive design and tested on all major handheld devices. 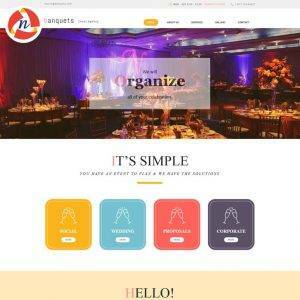 MoveON Bootstrap 4 theme is premium and fully responsive and specially created for Movers and Packers and Transportation companies.